President Donald Trump is expected to sign a directive that will bar migrants who cross the U.S. border illegally from applying for asylum after they are detained by immigration authorities, according to U.S. officials. Trump could sign the order as early as Friday, the Wall Street Journal reported Wednesday night, citing administration officials. Trump promised on Nov. 1 to implement sweeping changes to asylum rules before the arrival of a caravan of Central American migrants traveling through Mexico with the aim of applying for asylum in the U.S. The directive under consideration requires asylum seekers to make their claims at a port of entry along the border, according to TheWSJ report. Those who cross illegally and turn themselves into border agents will be deemed ineligible for asylum. The Trump administration argues U.S. policy encourages people who don’t meet the legal standard for asylum to cross the border illegally, in hopes they will get credible fear status and be allowed to stay. As evidence, administration officials point to the wide disparity between credible fear pass rates, which are often above 80 percent for Central American asylum seekers, and ultimately successful asylum claims, which are well below 20 percent for the same demographic. Trump’s impending directive comes after he ordered thousands of active duty troops to the southwest border, saying they were needed to help law enforcement agents deal with the “invasion” of illegal immigrants. As of early November, roughly 8,000 troops were deployed to Texas, Arizona and California and were mostly shoring up border security infrastructure and laying barbed wire. Prior to Trump’s asylum order, the Department of Homeland Security had already been telling asylum seekers to make their claims at ports of entry, saying it was the only legal way to do so. 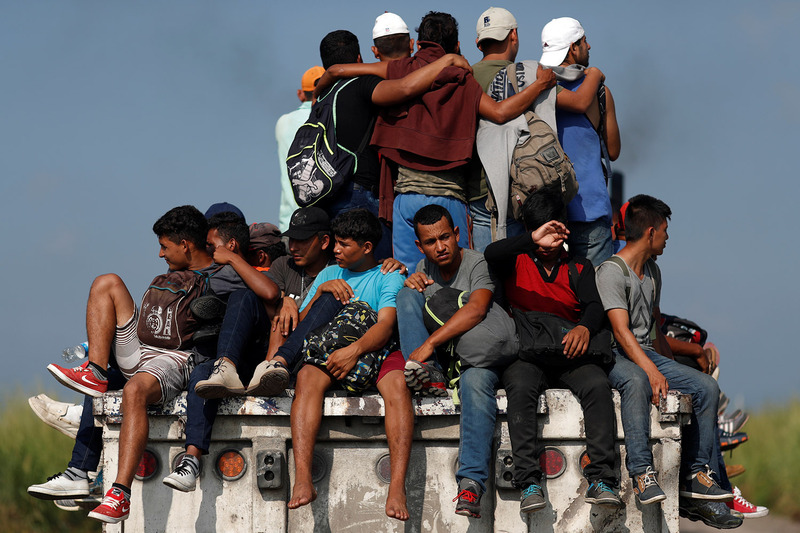 Administration officials say the new directive is intended to enable more orderly processing of asylum claims and more efficient allocation of resources at the border, according to The WSJ report. Critics say border authorities have an unofficial policy of “metering” — essentially creating long lines at the ports of entry by admitting just a handful of asylum seekers each day.